The Little Sahara Sand Dunes in Oklahoma were formed more than 11,000 years ago, during the end of the Pleistocene epoch. During this time, massive glaciers reached down as far as northern Kansas. Runoff from these glaciers formed large rivers that spread south towards the Gulf of Mexico. As the waters receded, this left massive sand dunes in their wake. 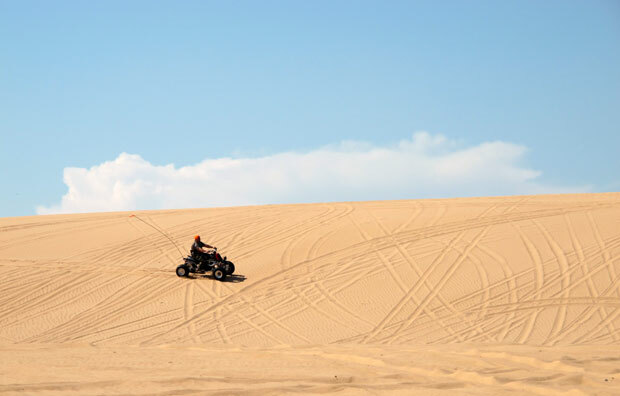 Today, these sand dunes are one of Oklahoma's most unusual attractions, drawing in thousands of people a year. They visit Little Sahara to participate in everything from camel excursions to dune buggy races. This article tells more about the history of the Little Sahara Sand Dunes in Oklahoma, as well as the different attractions and things to do that can be found there.